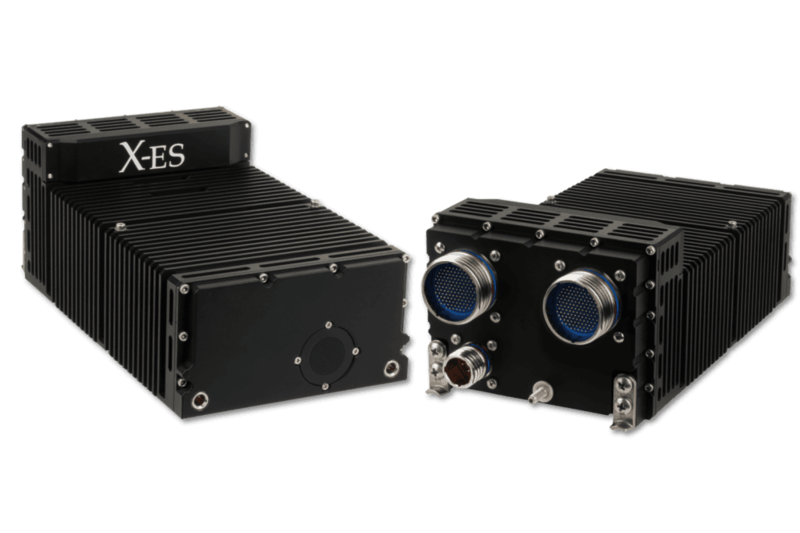 Extreme Engineering Solutions (X-ES) is an industry leader in the design and manufacture of embedded computing solutions for defense, industry, and commerce. Our portfolio ranges from commercial-grade to fully ruggedized products. In addition to Commercial-Off-The-Shelf products, we also specialize in custom designs. No matter what your application, we can cater for it, including full support of the final product. The XPand6212 is a Commercial-Off-The-Shelf rugged system, based around the Intel Xeon D-1500 family of processors that incorporates a Gigabit Ethernet switch with a Cisco IOS Gigabit Ethernet Embedded Services Router. 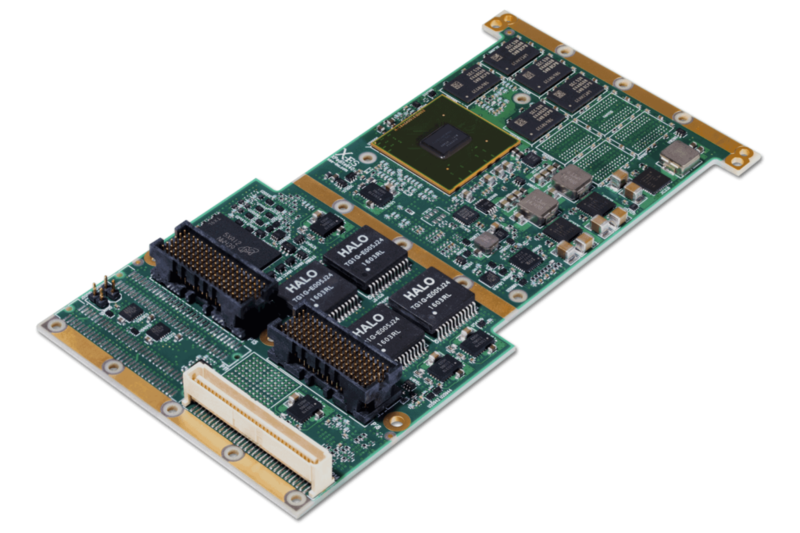 The system is designed to maximize processing and networking performance at a low SWaP profile, making it an ideal choice of computing platform for unmanned systems. The system features two slots, one which supports the XPedite7670 3U VPX SBC, and the other for the XChange3013 3U VPX Gigabit Ethernet switch. The XChange3013 can be configured as either a fully managed Layer 2 switch or a Layer 3 router. It delivers full wire-speed across all of its ports and supports IPv6, Energy Efficient Ethernet (EEE), and a comprehensive set of IETF RFCs and IEEE protocols. It also supports the XPedite5205 Cisco IOS Router XMC for secure data, voice, and video communications to stationary and mobile network nodes. 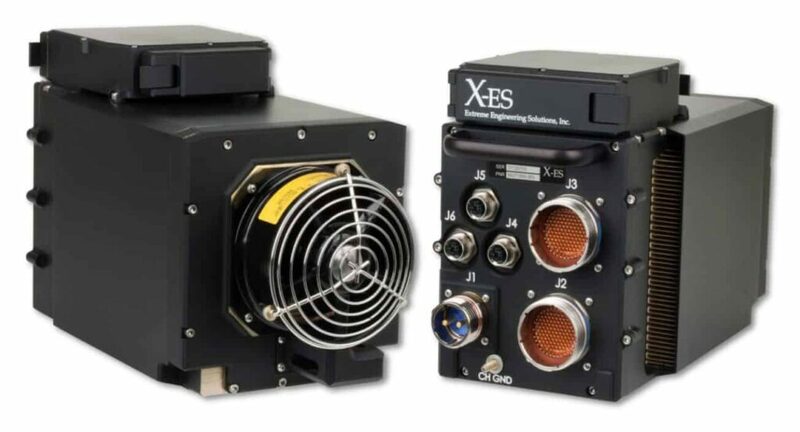 The XPand6212 is a fully ruggedized system that is designed to meet the rigorous standards of MIL-STD-810 and DO-160, incorporating state-of-the-art power-saving and performance-enhancing technology. The system includes an integrated MIL-STD-704 28 VDC power supply and MIL-STD-461 EMI filtering. The XPand6211 is a SWaP-optimized rugged 24-port Gigabit Ethernet switch and router based on two COTS XChange3013 3U VPX Gigabit Ethernet switches. One switch incorporates the XPedite5205 Cisco IOS router, and the other features an Intel Atom E3800-based XPedite8103 single-board computer for use as a general-purpose processing module. Fully compliant with MIL-STD-810 and DO-160, the system also includes an integrated 28 VDC power supply and MIL-STD-461 EMI filtering. 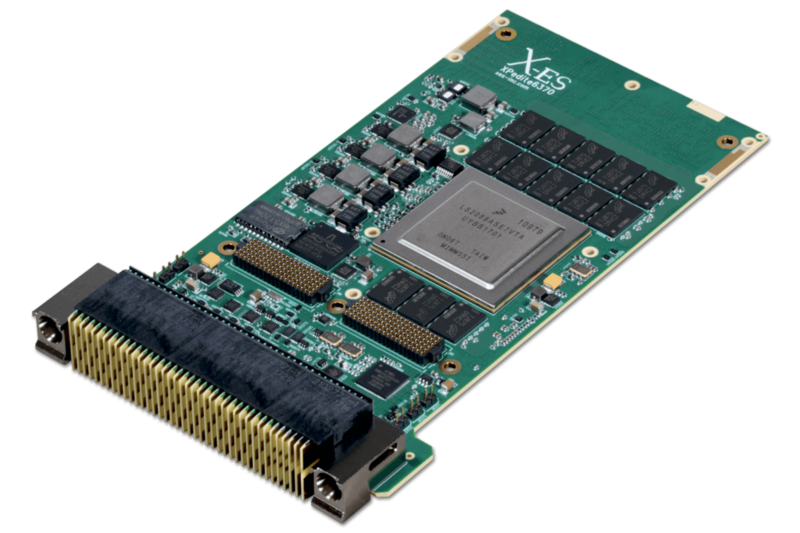 The XPand6052 combines an Embedded Services Router (ESR) with a 3rd Gen Intel Core i7 COM Express module to provide high-performance routing and substantial computing power for a wide variety of unmanned systems applications. The system can be connected to UHF, VHF, Wi-Fi, and other IP-based radio platforms to create mobile ad hoc network (MANET) nodes, making it ideal for unmanned vehicles operating in frontline roles in defense and first response where connections to central infrastructure may be lacking. The XPand6052 router provides four Gigabit Ethernet interfaces, hardware encryption, radio aware routing (RAR), support for IPv6, integrated threat control with integrated Cisco IOS firewalls and Intrusion Prevention System (IPS), and Quality of Service (QoS). The XPand4206 is a Commercial Off-the-Shelf rugged computing platform, designed for the harsh environments of avionic and vetronic applications where space, weight and power savings are critical. The system utilizes three quad-core Intel Core i7 processors, each with a maximum speed of 2.1 GHz. External I/O capabilities include three 10 Gigabit Ethernet interfaces, twelve high-speed CAN bus 2.0 A/B channels, twelve Gigabit Ethernet ports, sixteen serial ports, and six USB ports. Two removable solid-state SATA Flash drives have been included, which can be removed without the need for tools. The ultra-reliable connectors are capable of thousands of mating cycles under the harshest environmental conditions. The XPedite7670 is a 3U VPX-REDI single board computer incorporating an Intel Xeon D-1500 processor. The powerful Xeon D-1500 provides up to 16 Xeon-class cores in a single, power-efficient System-on-Chip (SoC) package. The system can address up to 16 GB of DDR4-2133 ECC SDRAM in two channels, making it ideal for memory-intensive applications. The system supports a single x8 PCIe interface or two x4 PCIe interfaces, as well as Non-Transparent Bridging for direct communication with other Intel processors. Two 10 Gigabit Ethernet ports configured as 10GBASE-KR and two Gigabit Ethernet ports configured as 10/100/1000BASE-T give the XPedite7670 the ability to provide superior network performance. The XPedite7670 gives system integrators highly flexible growth and expansion capabilities, with an XMC site with full 10 mm I/O envelope support, as well as a 0.8 in. VPX slot pitch (12 core processor configurations require 1.0 in. pitch). This allows the system to interface with a wide variety of COTS options for additional I/O, storage, or processing. The XPedite6370 is a 3U VPX-REDI single board computer built around the NXP QorIQ LS2088A ARM-based processor, which features eight ARM Cortex-A72 CPUs running at up to 2.0 GHz as well as a 128-bit NEON-based SIMD engine for each core. 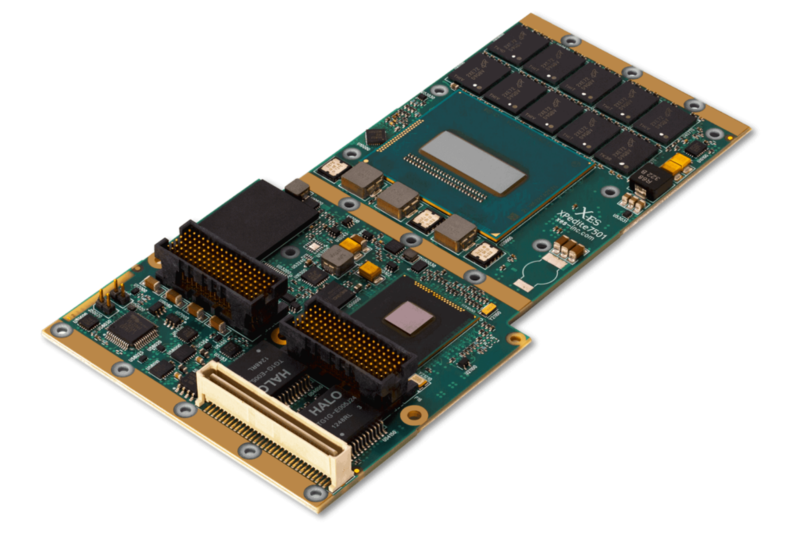 Leveraging the superior performance-per-watt ratio of an ARM-based processor module, the XPedite6370 is an ideal processing solution for the low-power requirements of unmanned systems. The system is compatible with multiple VITA 65 OpenVPX slot profiles. It supports up to 16 GB of DDR4-2100 ECC SDRAM and provides a wide variety of I/O options, including multiple 10 Gigabit Ethernet and PCIe Gen3 interfaces. Growth and expansion capabilities include an XMC site with full 10 mm I/O envelope support and a 0.8 in. VPX slot pitch. The system’s SWaP-C profile is minimised while providing a range of COTS options for additional I/O, storage, or processing. The XPedite7570 is a high-performance 3U VPX-REDI single board computer based on the 5th generation Intel® Core™ i7 Broadwell-H processor. Networking capabilities are provided by four Gigabit Ethernet interfaces, with two configured as 1000BASE-BK/KX (SerDes) ports and two as 10/100/1000BASE-T ports. A PCI Express switch integrated into the board allows for direct communication with other Intel processors without the need for a separate module. A wide array of expansion options is catered for by an included PMC/XMC interface. Up to 8 GB of DDR3L-1600 ECC SDRAM can be addressed via two channels, and numerous other I/O ports are integrated into the system. This rugged system can be cooled either by conduction or air cooling. 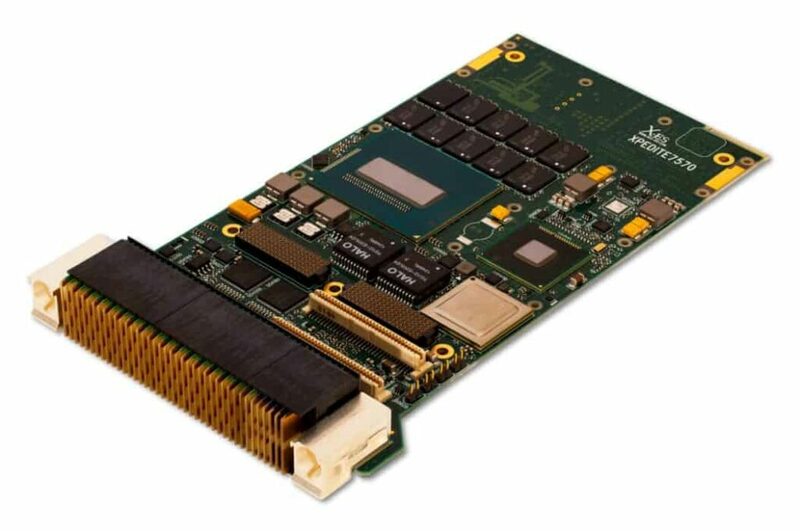 The XCalibur1931 is a high-performance 6U VME multiprocessing single board computer designed for ruggedized systems requiring high bandwidth processing and low power consumption. 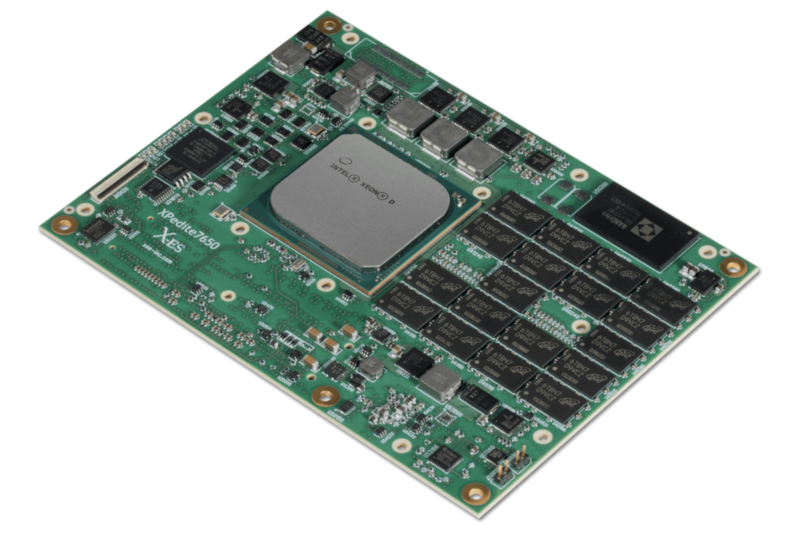 Featuring four dual-threaded e6500 cores running at up to 1.8 GHz, each with a 128-bit AltiVec SIMD unit, the system’s NXP QorIQ T2080 processor delivers enhanced performance and efficiency for embedded computing applications such as unmanned vehicles and robotics. The XCalibur1931 provides up to 8 GB of DDR3-1866 ECC SDRAM, two XMC/PrPMC interfaces, and 512 MB of NOR flash (with redundancy). The XCalibur1931 also supports up to six Gigabit Ethernet ports, PMC I/O, and RS-232/422/485 serial ports out the P2 backplane connectors. The front panel supports two Gigabit Ethernet ports, RS-232 serial, and an optional USB 2.0 port. The XPedite7650 is a state-of-the-art Type 7 COM Express module based on the Intel Xeon D-1500 processor. 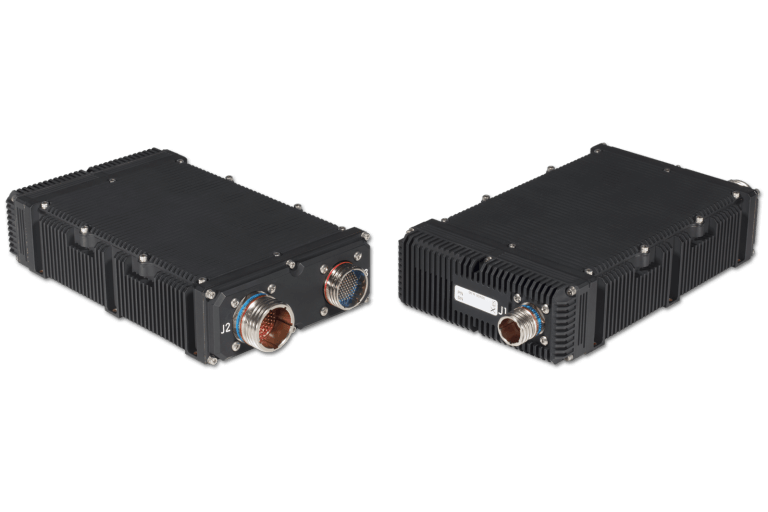 With a small form factor and the ability to handle high-bandwidth and processing-intensive applications, it is ideal for rugged military and commercial UAVs (unmanned aerial vehicles) and other unmanned platforms. The XPedite7650 accommodates up to 32 GB of DDR4-2133 ECC SDRAM in two channels to facilitate even the most memory-intensive of applications. The system also features a variety of I/O ports and interfaces, including 10 Gigabit Ethernet, Gigabit Ethernet, PCI Express, SATA, USB 3.0, LPC, SMB, I²C, and LVTTL serial. The XPedite6401 is an XMC/PrPMC System-on-Chip mezzanine module based around an NXP QorIQ LS1043A processor with four 64-bit Arm Cortex-A53 cores operating at up to 1.8 GHz. With a small form factor, high bandwidth and superior network performance, it is ideal for rugged embedded computing applications. The XPedite6401 supports up to 8 GB of DDR4-1600 ECC SDRAM memory in its default configuration with the LS1043A processor. Up to 16 GB of DDR4-2100 ECC SDRAM can be addressed when the system is configured with the LS1088A or LS1046A processor. The I/O connectors provide interfacing for 10/100/1000BASE-T, 10GBASE-KR or 1000BASE-X Ethernet ports, RS-232/422/485 serial ports, USB 2.0 and 3.0 ports, and a SATA port capable of 6 Gb/s. The XPedite7501 is a high-performance, low-power, XMC module based on the 5th generation Intel Core i7 Broadwell-H processor. 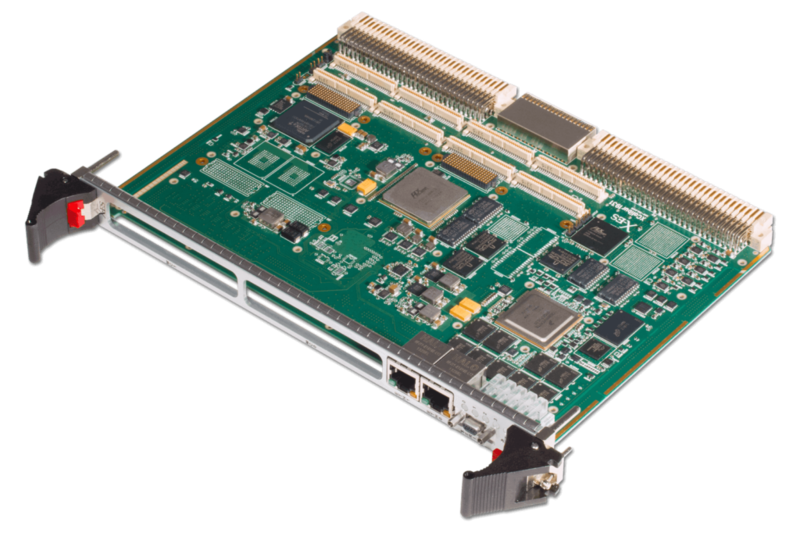 Incorporating up to three PCI Express Gen3-capable ports and two Gigabit Ethernet ports, the module is an ideal choice for high-bandwidth data processing applications. 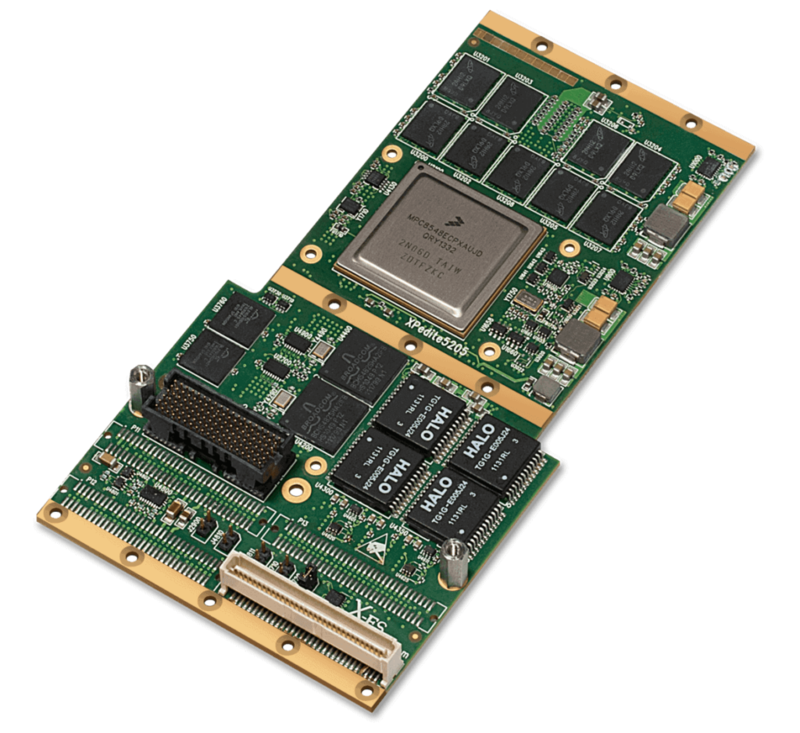 Intel’s Advanced Vector Extensions 2.0 provide powerful extended floating-point capabilities for unmanned systems applications such as radar, image processing, and signals intelligence. The XPedite7501 accommodates up to 8 GB of DDR3L-1600 ECC SDRAM in two channels. I/O ports include Gigabit Ethernet, USB, SATA, graphics, and RS-232/422/485. 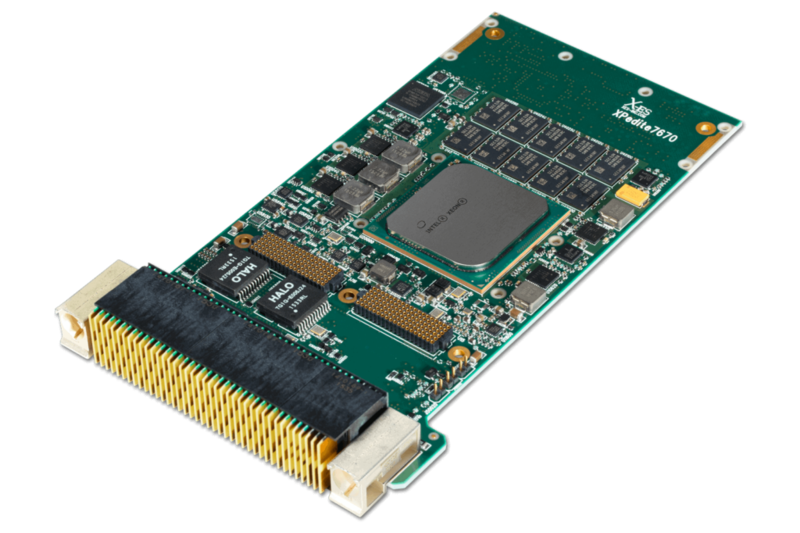 The module features Intel Iris Pro graphics and can serve as a general-purpose GPU for demanding data and graphics processing applications. The XPedite5205 XMC/PMC-based Embedded Services Router (ESR) router runs Cisco IOS® Software with Cisco Mobile Ready Net capabilities, providing highly secure data, voice, and video communications to stationary and mobile network nodes across wired and wireless links. When combined with UHF, VHF, Wi-Fi and other radio platforms, the combination can create mobile ad hoc networks (MANETs), without requiring a connection to central infrastructure for military and emergency response. The router offers four Gigabit Ethernet interfaces, and a rich Cisco IOS® Software feature set, suitable for the most Size, Weight, and Power (SWaP)-constrained applications. The XPedite5205 ESR provides onboard hardware encryption to off-load encryption processing, radio aware routing (RAR) with support for the latest Dynamic Link Exchange Protocol (DLEP), support for IPv6, integrated threat control with integrated Cisco IOS® firewalls and Intrusion Prevention System (IPS), and Quality of Service (QoS). By submitting this form, you consent for your details to be sent to Extreme Engineering Solutions, Inc and its authorized partners in order to respond to your inquiry. Depending on the location of the organization, your personal information may be transferred and processed outside of the European Economic Area.